We are all aware of the benefits of keeping our houses or apartments clean. Regular maintenance ensures not only healthy living environment but superior comfort as well. Regular vacuuming, dusting, blind cleaning and decluttering are very important to keep your home looking spotless and odor free. However, most people seem to overlook one major home accessory that requires regular maintenance as well – carpets. Many pay little or no attention to carpets and believe once-a-week vacuuming is sufficient enough to keep them looking clean and fresh. Not true. Due to the fact that carpets and rugs absorb dust and are in constant contact with dirt, it is necessary to regularly maintain them, and use adequate cleaning procedures to faster and easier achieve desired effect. Yes, carpets are ideal isolation solution and protect flooring, but are also main culprits for many allergies and respiratory illnesses. That is why they need to maintained regularly. Carpets are cleaned differently depending on the material they are made of and according to manufacturer’s recommendations. Each maintenance strategy is, however, mainly based on the same basis which includes regular vacuuming, dry or steam cleaning and spot cleaning. To avoid dust and dirt build up, vacuum your carpets at least twice a week. Use the vacuum brush attachment for better results. This way you’ll pick up any debris that may be stuck deep in your carpet. Also, once a week refresh your carpets with this homemade solution to preserve color and get rid of any unpleasant odor – mix a liter of water with apple vinegar, fresh lemon juice and few drops of your favorite essential oil. Spray carpet with this solution, rub gently with a soft sponge or cotton cloth, let it sit for 15-30 minutes and then vacuum. Or you can simply sprinkle baking soda all over your carpet, let it sit for 15 minutes and then vacuum as usual. Baking soda will remove any odor and will have your carpet looking fresh and clean. Also, this will ensure overall clean look of your home. Spot clean any stains to avoid permanent carpet discoloring and easy maintenance. 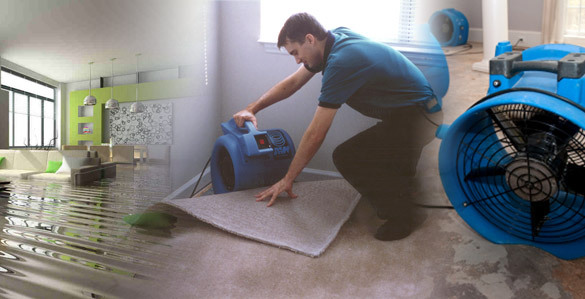 If you are unfortunate enough to experience busted pipe and end up with wet carpet, sanitize the problem immediately. You can either do it on your own or have a professional carpet cleaning technician do it for you. There are many carpet cleaning Canberra companies that specialize in dry and steam carpet cleaning. They not only have experience but required equipment as well to remove any possible water damage caused by flooding. Moreover, twice a year detailed carpet cleaning is important if you want your carpets to last longer. Therefore, to ensure healthy and comfortable living environment in your home, regularly maintain your carpets.